Hangzhou, China, September 8, 2015 – AliCloud, Alibaba Group's (NYSE: BABA) cloud computing arm, today announced the launch of an innovative and eco-friendly AliCloud Qiandao Lake Data Center. The new data center, AliCloud's eighth globally, is focused on fulfilling the growing cloud and big data business needs of Alibaba Group. 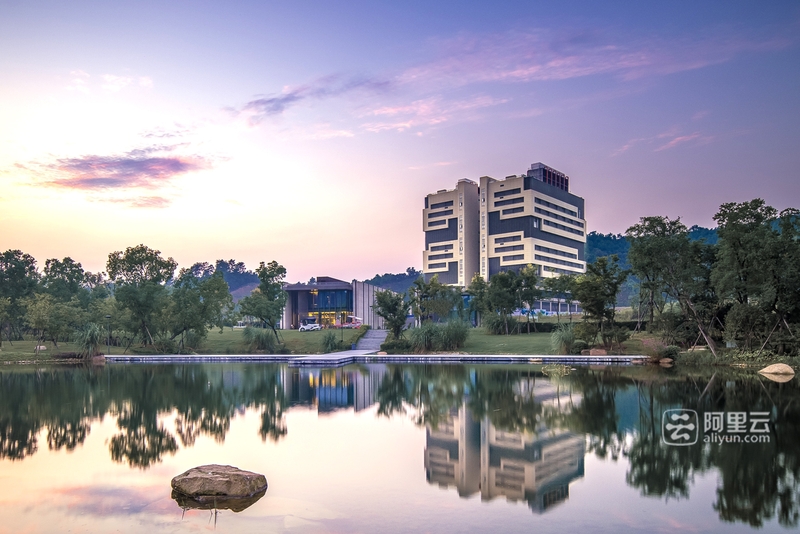 Located near the scenic Qiandao Lake in Chun'an County, Zhejiang Province, China, the AliCloud Qiandao Lake Data Center incorporates several technical innovations as well as environment-friendly firsts in line with Alibaba Group's focus on sustainability and drive to operate more efficiently. The data center is first for AliCloud to introduce the on-demand cooling technology. The control logic is developed by the Alibaba infrastructure Service team with real-time monitoring of server power consumption and operating temperatures to adapt actual cooling capacity to maximize energy savings. The AliCloud Qiandao Lake Data Center also has a unique mechanical cooling system designed with use of water from Qiandao Lake. Data centers typically rely on mechanical cooling. However Alibaba's infrastructure team has determined that with proper use of the lake water, almost year round free cooling can be achieved under the optimal water temperature. The lake water enables free cooling in data center for more than 90% of time without mechanical cooling such as chiller. This creative practice cuts energy costs for the AliCloud Qiandao Lake Data Center by 80% compared to mechanical cooling, and more importantly, without any impact to the environment. At the AliCloud Qiandao Lake Data Center, physical filtered lake water is pumped into each level of the data center. Then the return chilled water runs through the 2.5km central canal across Qingxi New Town. In the future, the heat from return chilled water will be recovered for heating the buildings nearby. Moreover, the AliCloud Qiandao Lake Data Center adopts green technology like solar energy, hydraulic power, and heat recovered from server operations for heating offices within the facility. The renewable energy and design innovations have resulted in one of the most extreme energy efficient data center in the world. The AliCloud Qiandao Lake Data Center is designed to achieve the annual average Power Usage Effectiveness (PUE) ratio below 1.3, as well as Water Usage Effectiveness (WUE) ration below 0.2. "At the AliCloud Qiandao Lake Data Center, every drop of water contributes to the future of cloud computing and big data. With its smart use of lake water for cooling and recycling, the AliCloud Qiandao Lake Data Center combines the best of natural resources with the comforts of modern city life and state-of-the-art technology in a unique way," said Jian Wang, Chief Technology Officer, Alibaba Group. The new AliCloud Qiandao Lake Data Center is a showcase of Alibaba innovations that improve operational efficiency in the delivery of cloud computing and big data services of the rapidly growing Alibaba Group's businesses. AliRack 2.0 which has a unique plug-and-play, roll & rack design that enables the Alibaba Group to deliver 5,000 servers a day,10x faster than traditional methods. At the new AliCloud Qiandao Lake Data Center, AliRack 2.0 design capacity has 30% more servers in a given space compared to a traditional data center. Alibaba Data Center Modules (ADMs) which are used at AliCloud's data centers, shorten the delivery time and enhance manageability during capacity expansion. The ADMs can be delivered in 45 days, against the market average of four months. AliFlash storage, an innovation that currently supports the Alibaba cloud computing, database, and content delivery network (CDN) businesses, that delivers a further performance boost to AliCloud's data centers. AliFlash disks are 70% faster and up to 10 times more productive than systems available in the market today. "Our work with data centers complements our focus in other scientific disciplines. AliCloud recently announced breakthroughs in artificial intelligence with DTPAI and recently set up a Quantum Computing Laboratory with the Chinese Academy of Sciences. We will continue to push the envelope on scientific discovery and applied science, accelerating the pace of innovation in China and around the world," Wang added. The world-class AliCloud Qiandao Lake Data Center is AliCloud's 8th data center globally. AliCloud has data centers in Beijing, Hangzhou, Qingdao, Shenzhen, Hong Kong and Silicon Valley, with a Singapore facility to come online shortly. Established in September 2009, AliCloud (www.aliyun.com), Alibaba Group's cloud computing arm, develops highly scalable platforms for cloud computing and data management. It provides a comprehensive suite of cloud computing services to support the participants of Alibaba Group's online and mobile commerce ecosystem, including sellers, and other third-party customers and businesses. AliCloud is a business within Alibaba Group.